Hatshepsut was the Egyptian King Thutmose I and his wife queen Ahmose only child, she was one of the greatest queens and the second who ruled ancient Egypt. Hatshepsut was the fifth pharaoh of the eighteenth dynasty of ancient Egypt. She was the second confirmed female pharaoh who ruled Egypt, the first one was sobekneferu. Hatsheosut take over the rule of Egypt in 1478 BC. Hatshepsut and her sister Nefrubity, was the daughter of Thutmose II and his wife Ahmose. Thutmose I was a warrior king who launched a successful wars into Nubia and Syria expanding the egyptian territory rule. Hatshepsut is distinguished in history for being one of the most successful pharaohs of Ancient Egypt. She was also a woman and is generally regarded as one of the first female historical figures whose exploits are known to modern historians. 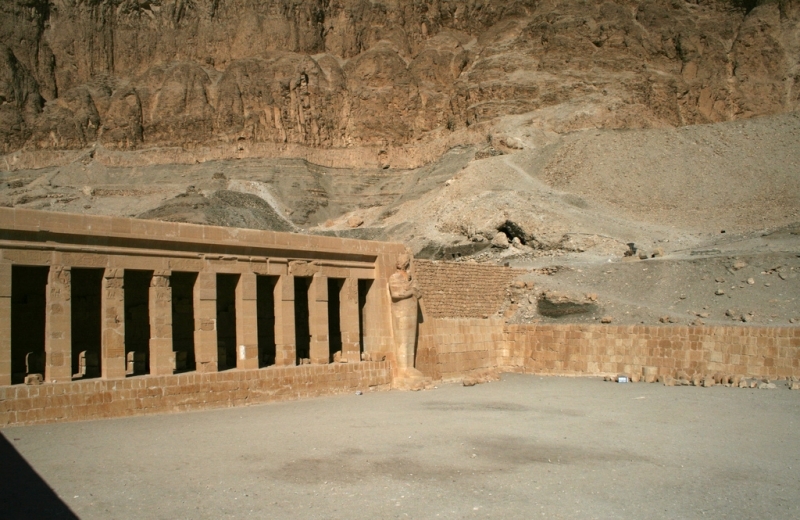 Hatshepsut was the fifth pharaoh of the 18th dynasty during the New Kingdom. The dates of her reign are debated by historians, but she is thought to have ruled Egypt for 22 years from 1470 to 1458 BC. She became Egypt queen when she married her half-brother, Thutmose II when she was 12. 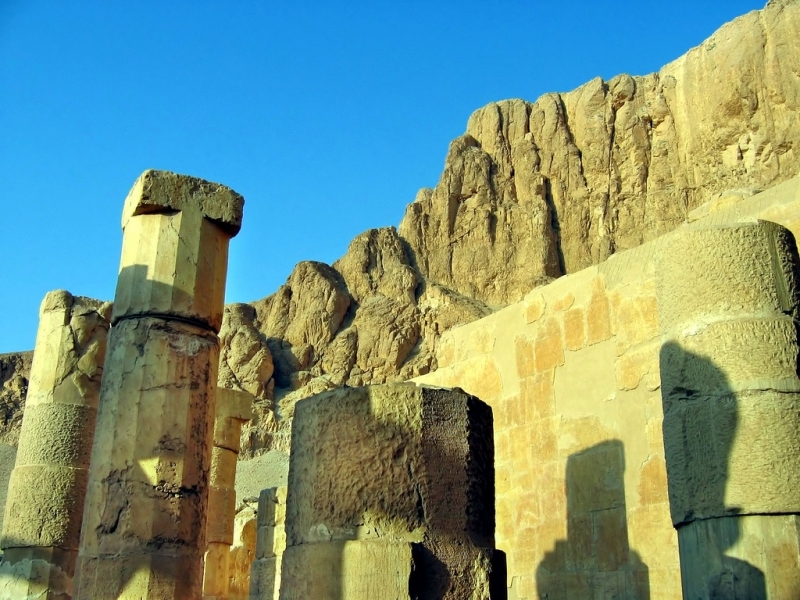 Being a Pharaoh, Hatshepsut expanded Egyptian trade and establish promising building projects, most famous one was the temple of Deir el-Bahri. Her reign was the longest female pharaoh reigning, ruing Egypt for more than 20 years in the 15th century. beginning in 1478 BC, she served as a queen alongside her husband. 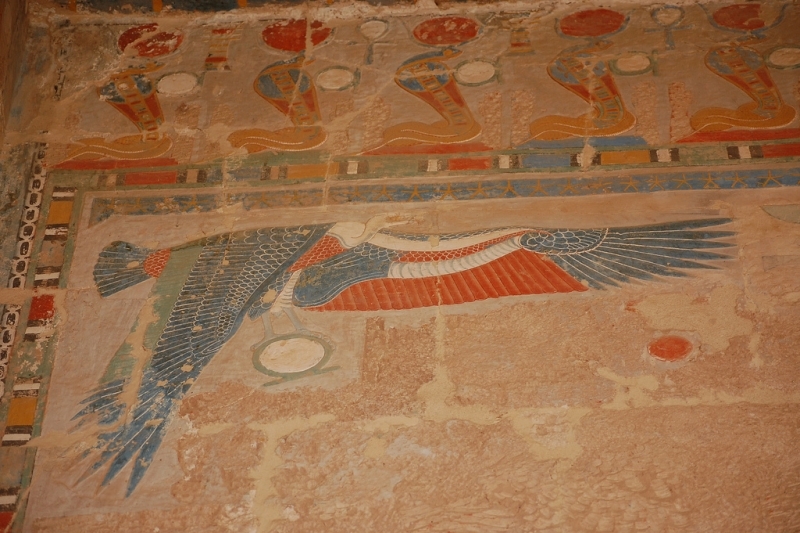 During her reign Hatshepsut was successful in re-establishing trade relationships that had been disrupted by a foreign occupation of Egypt by the Hyksos people. It is this success in economic matters that led to her being regarded as such a successful ruler. The most famous of these trading relationships was with the land of Punt (placed by historians in central Africa), an accomplishment immortalized in the reliefs of her mortuary temple on the West Bank of the Nile at Luxor (ancient Thebes). As a result of Hatshepsut’s efforts, Egypt enjoyed a period of economic prosperity during and immediately following her rule. 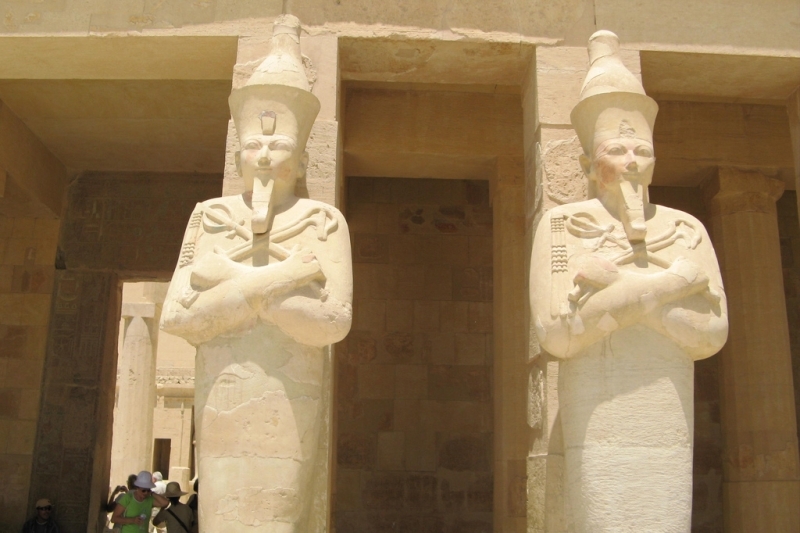 Queen Hatshepsut was a great pharaoh, Explore her heritage through one of our Egypt Tours ! 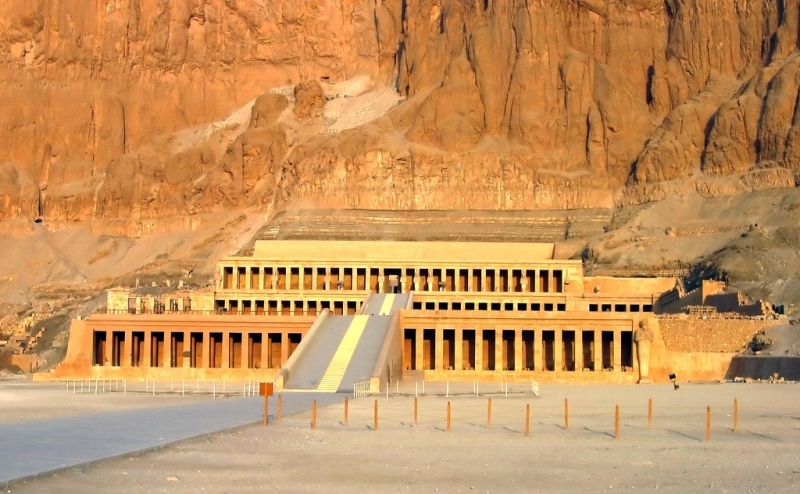 Her era was peaceful and she ordered to build the great temple of Deir el-Bahari at Luxor, Hatshepsut was also a prolific builder. The number of building projects undertaken and the elevation of architectural style during her rule is evidence of the economic prosperity that Egypt enjoyed during her reign, as well as her desire to immortalize her influence as the ruler of Egypt. She built hundreds of buildings throughout the Nile Valley and there was a huge amount of statuary produced with her likeness. 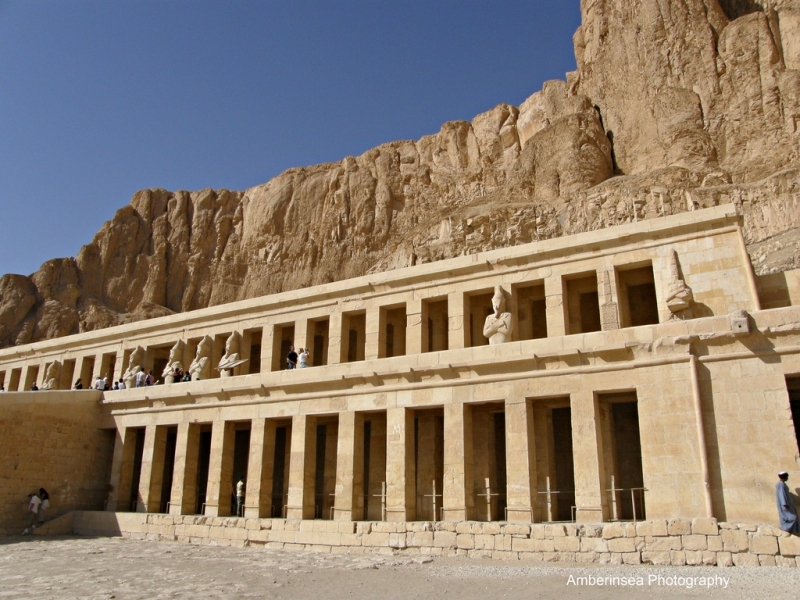 By far the most famous building attributed to Hatshepsut is her mortuary temple, known as Deir Al-Bahiri or Hatshepsut Temple. 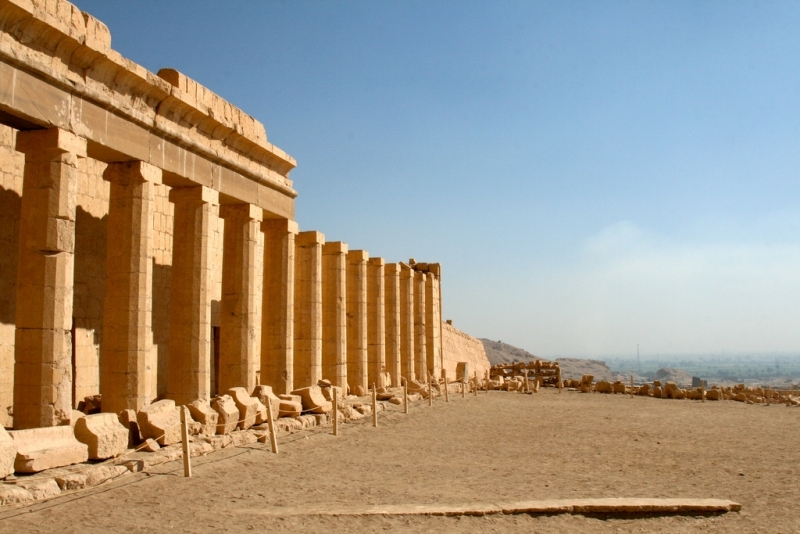 The unique collonaded design of this temple is still admired by art historians as unrivaled until the rise of Classical Greece. In 2007, archeologists announced that Hatshepsut’s mummy had been identified in tomb 60 KV in the valley of the kings, a CT scan of a single tooth in box with hatshepsut’s name on it matched a tooth socket in the mummy’s jaw. Queen Hatshepsut was around 50 when she died, suffering from diabetes and wearing black and red nail polish. Tiny writes along with some post-mortem destruction of her images describes her health problems, history still address her as a successful ancient egyptian pharaoh.